Creativity takes over Champaign County, Illinois April 12-15, 2018 with the annual Boneyard Arts Festival. This four-day event is something every art buff will want to add to the calendar. The festival is a multi-genre event showcasing performance, literary and visual arts in the area. Unlike most art fests that are held in a central location, Boneyard is spread throughout the county, including locations in Champaign, Urbana, The University of Illinois campus, Rantoul, Homer, Mahomet, St. Joseph, and Sidney. More than 90 venues—theaters, museums, cafes, galleries, salons, and retail stores—will host the various artists. The creativity on display will be just as diverse. Look for sculptors, weavers, painters, photographers, musicians and dancers, poets and performers of all kinds. It’s a wonderfully eclectic mix and a great opportunity for both the artists and those who enjoy seeing works of art. If you’d like to add to the fun of the weekend, plan to stay in Amish Country at Marsha’s Vineyard Bed and Breakfast. Located just south of Champaign County in Arthur, Illinois, the inn offers a relaxing setting with two large suites. 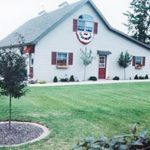 Marsha’s Vineyard Bed and Breakfast is a member of the Illinois Bed and Breakfast Association … a unique lodging experience! This entry was posted in Art and Music, Festival, Illinois Bed and Breakfasts and tagged Art galleries, Festivals and events, Illinois Bed & Breakfasts, Music & Theater by admin. Bookmark the permalink.